How much do you know about your chakras? 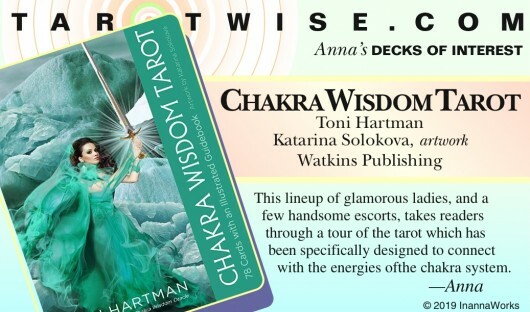 This lineup of glamorous ladies, and a few handsome escorts, takes readers through a tour of the tarot which has been specifically designed to connect with the energies of the chakra system. The illustrations on the cards are very polished and high-end. One might say it’s Tarot goes to the Oscars but that would be making light of Hartman’s decades of experience with both the tarot and the other realms. Hartman’s motto is: Enlightenment Made Simple. It affirms her dedication to make esoteric concepts simple for others to understand. This new deck is a perfect example of her ability to do that.